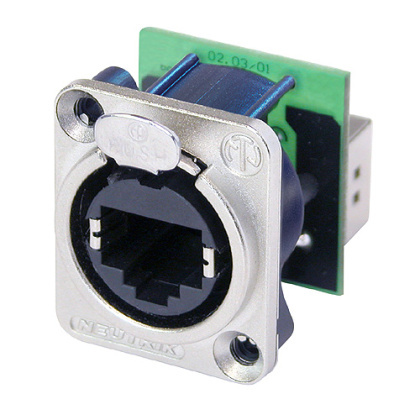 This is a rugged connector shell that protects a standard RJ45 connection. NE8MC can be fitted to an already terminated patch cable. It uses a snap on strain relief. 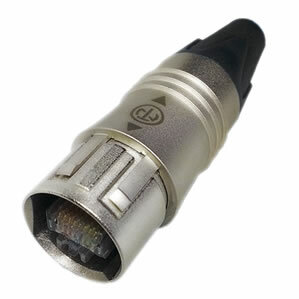 Fits in a standard D cutout, the same as our XLR and other connectors. This version has an IDC punchdown block on the rear. This version has an RJ45 socket on the rear. 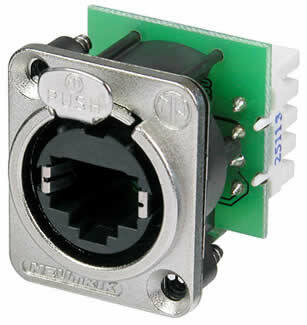 This is a fully sheilded, rugged joiner for Ethercon connections. 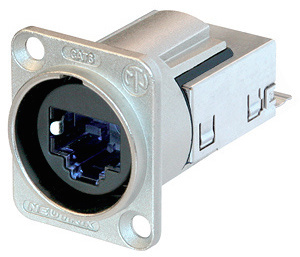 This connector is designed for CAT6 connections. Does not fit into Neutrik CAT5 ethercon sockets. 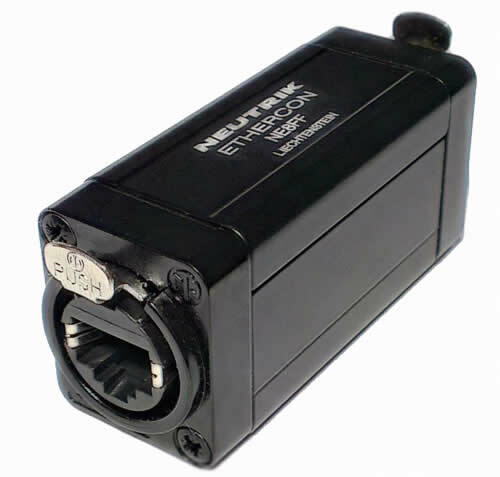 This is a panel mount socket for Neutrik CAT6 ethercon connections. It fits into standard D cutouts. Requires no tools to terminate. 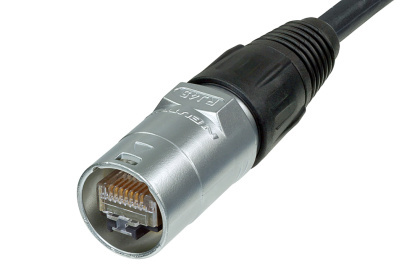 Allows for sheilded connections and also accepts standard RJ45 connectors.